Lately I've been getting most of my protein from lean turkey meat. It's so yummy and can be used in pasta, tacos, rice. So many options, and Skinny Taste gave me an idea for a new one. 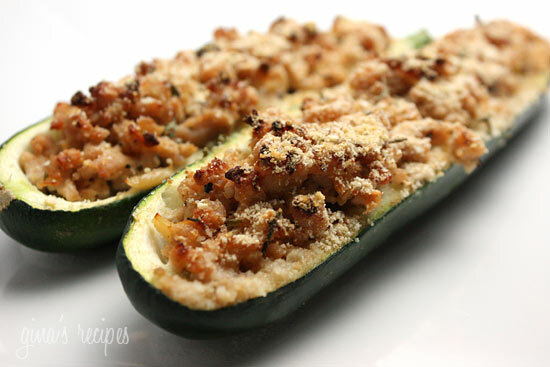 Turkey-stuffed zucchini. Yum. Add a little marinara sauce on top and it's yummier. Preparation:Preheat oven to 400°. Cut zucchini in half lengthwise and using a spoon or melon baller, scoop out flesh, leaving 1/4" thick. Arrange in a baking dish. Chop the scooped out flesh of the zucchini in small pieces.